Musings of a man obsessed with red hair. Figured it was a good time to introduce a new kind of post. This is what I call “The Plug,” where I will basically write about something or someone who makes stuff I like and talk them up. 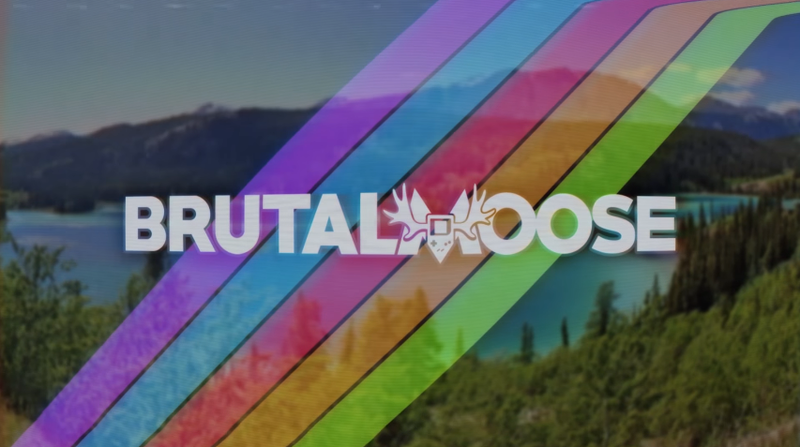 For this first one, I thought I should talk about Brutalmoose, a YouTuber that I follow, who is a pretty cool cat. DISCLAIMER: This is not a sponsored thing. Brutalmoose did not pay me to write this post, and as far as I know, he doesn’t follow my blog. I am simply writing this because I want to share his content. Brutalmoose, or Ian, for those who prefer IRL names over usernames, is a YouTuber who makes video game reviews. While he does do some newer stuff, it’s mostly old PC games, such as Pajama Sam. He also streams on Twitch, the archives or which are also available on his second channel. You can find more information about him on his website. I first discovered his content when I heard his narration in DidYouKnowGaming’s Nintendo 64 episode (I’m aware that they made another one, with Brutalmoose narrating again. The one I’m referring to, as well as linking to, is the original.) What caught my attention was a link to his video about the PC game Oregon Trail II, a game my family used to play when I was a kid. As soon as I saw the link, I was intrigued. I had memories of playing the game myself, but could never remember which Oregon Trail game it was. The one time I remember from the game is the intense tune that plays when something bad happens. To be honest, the tune wasn’t exactly as I remember it, but I’m pretty sure Oregon Trail II is the one I played as a kid. I still have the CD case, but I wasn’t sure if another company tried making a cheap version of it or something. I still don’t know if it truly is the same game I played back then, but it seems more likely than not. What appeals to me about Brutalmoose’s videos is his style and tone of his reviews. His smooth narration sounds like he’s explaining with specific detail rather than flatly telling, at least it does to me. It’s not characterized by any means, but I find that to be a good thing. These days, it seems like most YouTube game reviewers try to play some kind of character, even if loosely. Brutalmoose, however, is simply himself reviewing a game. Nothing more, nothing less. Because of this, his humor is never forced and the overall “rating” of the game isn’t exaggerated. The choice of games he reviews also helps him stand out to me. The old PC games he picks remind me of my youth either playing or watching a friend play them. Watching his videos make me feel like I’m hanging out with a friend who is pretty knowledgeable about older PC games. His content is very relaxing to watch and I tend to make sure I have nothing else going on before watching his new stuff, so I can just chill and enjoy whatever kind of video he puts out. Here are three of my favorites Brutalmoose videos! They are in no particular order. This one is both nostalgic and not for me. It’s not nostalgic because I never played RuneScape, but I can definitely identify with the idea of the classic online game that you would play as a kid. I’d imagine most people my age had a similar experience. While I grew up with other browser games like NeoPets and AdventureQuest, I knew a fair amount of people who played RuneScape. Brutalmoose’s video reminds me of a simpler time when I would come home after school and play a browser game, usually while simultaneously browsing the internet. Very fun watch. This one is probably my favorite of the “trail” games Brutalmoose has reviewed, besides Oregon Trail II. For me, what made this video hilarious was his partner in the game, who always sounded so sassy whenever he fell and broke his leg. It’s like he expected Brutalmoose’s character in the game to drop everything and just stop. Though, it would proably be a smart idea, since he was a businessman. Meaning he’s got that cash money. This one I have a lot of connection to, for I grew up watching this OVA when I was a kid. It’s what made Metal Sonic my favorite Sonic villain. It brought back memories of the older days of my youth when I saw that white VHS tape, which I also happen to have a copy of. I hope to get it on DVD at some point, though I think it’s out of print. I also heard that it was getting another release, but I don’t remember. I might have misheard. Either way, a very nostalgic and entertaining review. And there you have it! I hope I explained why I like Brutalmoose’s content well enough. As of the writing of this post, his new video is out, which I plan to watch as soon as I finish typing this bad boy. It always feels like I’m eating a sweet piece of candy or slurping hot soup, that is, a feeling of relaxation and content. And yes, I would compare his videos to the feeling of hot soup traveling down my throat and into my tummy. Or maybe laying in bed after a tough day? Regardless, I think you get the picture. Brutalmoose’s videos are like a sweet trip down memory lane. Thanks for reading! Next post will be another collection haul post. See ya! !